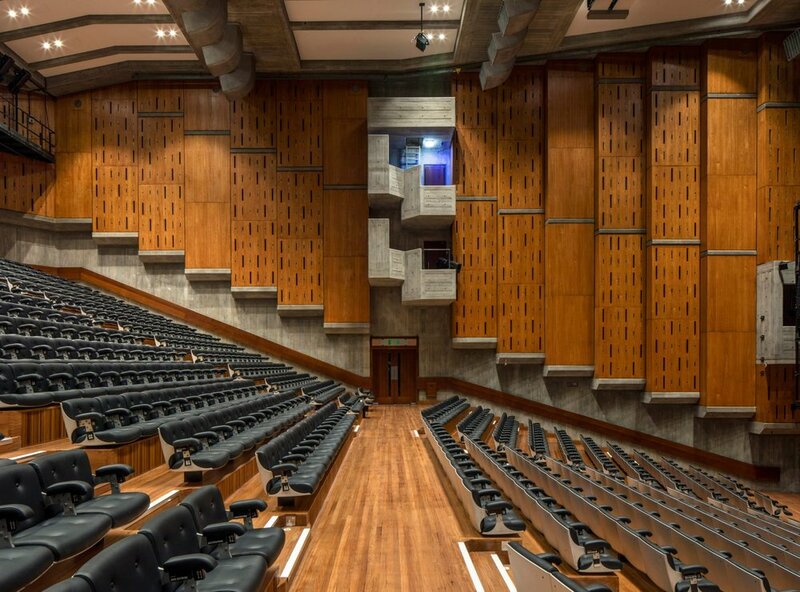 On 3rd November we host our first own show at London’s Southbank Centre! We’ll put our own glorious spin on a variety of music, including popular hits, with Orlando Weeks (the Maccabees) and art-pop duo RINNGS. The programme examines the human condition through the lenses of mental health, wellbeing, aging and consciousness. Over 500 tickets for the concert have already been sold and the show is expected to sell out! Get tickets now! Our first concert at Queen Elizbeth Hall will present alternative, electronic and contemporary classical music alongside alternative versions of songs by artists such as Hozier, Laura Marling and Florence + The Machine. Excitingly, we’ll also share our own original pieces live for the first time – prepared collaboratively by a pool of over 20 emerging writers and composers from LCV. The evening’s music examines the human condition through the lenses of mental health, wellbeing, aging and consciousness. Contemporary classical works draw on poetry by writers including Emily Dickinson, Walt Whitman and Emily Brontë (during the year of her 200th birthday!). We’ll also perform arrangements of new poems and music from the Arts Council-funded Living Words project, created from accounts from people experiencing dementia. Orlando Weeks, frontman of the Ivor Novello Award-winning band The Maccabees, will join us onstage to perform recent work, including material from his illustrated music-book The Gritterman, which gained widespread critical acclaim in 2017; it’s a bittersweet story about stoicism, dignity and an elderly man leaving behind the work that he loves – themes explored in this concert. Weeks will also perform a new music, prepared especially for the choir and this show. Over 500 tickets for the concert have already been sold and the show is expected to sell out! Get tickets now! London Contemporary Voices is renowned for its work with pioneering artists - including 17 Grammy winners and nominees - and is regularly seen at festivals across the UK, as well as TV and Radio. The choir has worked with diverse artists including U2 (BBC TV Special Live From Abbey Road), Andrea Bocelli, Alt-J, Basement Jaxx, Laura Mvula, James Bay and Eska. The choir is in high demand after a string of recent successes which include featuring on Elbow’s UK No. 1 album Little Fictions and Deaf Havana’s top ten album Rituals; performing on the Main Stage at Bestival; soundtracking Burberry’s Feb 17 campaign; and releasing a cover “Praise You” by Fatboy Slim, recorded with artist Hannah Grace at Metropolios Studios (as featured on the current filmic TV ad for Lloyds Bank). This year the choir has worked a variety of artists, from the biggest-selling classical singer of all time Andrea Bocelli to rock band Deaf Havana for a live BBC broadcast from Reading Festival’s Radio 1 stage. The choir has also been working with singer-songwriter Roo Panes and producer Chris Bond (Ben Howard) for Panes’ latest album and a show at Shepherd’s Bush Empire. Orlando Weeks is best known as the lead singer of indie band The Maccabees. At the height of their fame The Maccabees played The O2 Arena, had a top 4 album, won an Ivor Novello and were also nominated for the Mercury Prize. When the band split in 2017 they sold out three dates at Alexandra Palace. In 2017 Weeks released a self-illustrated book called The Gritterman, with an accompanying audio version and beautiful soundtrack (narrated by comedian Paul Whitehouse, of Harry Enfield fame). A group of LCV singers sang at The Gritterman live show with Orlando at Union Chapel in December 2017 - the show sold out in one day and received glowing reviews from The Telegraph, The Times and Drowned In Sound. This stylish new art-pop duo are winning support from the likes of Clash Magazine and The 405. The London-based Karl Zine and Nai Jannson started releasing music last year and quickly started to pick up steam with support from Spotify’s coveted New Music Friday playlist, Apple Music’s New Fire playlist and a heap of radio play from BBC Introducing and Soho Radio. Through the handful of singles they’ve released to date the pair have already cultivated a reputation as creators of expressive and enlivening electronic pop music. LCV singers filmed a beautiful session video with RINNGS earlier this year and three singers also joined the band at Abbey Road Studios to record with the band. June saw the release of their debut EP Glorious, a collection of enigmatic and soulful tracks that caught the eye of the BBC once again, including Phil Taggart on Radio 1 and a spree of air-time across BBC 6 Music. RINNGS are currently a featured act in the current M-Magazine, from PRS For Music. Living Words is an art and literature charity established in Folkestone, Kent, in 2007. The organisation conducts residencies in care and nursing homes, community settings, arts centres, day centres, libraries, theatres and hospitals. Living Words writers and artists receive training which allows them to work co-creatively and one-to-one with people experiencing a dementia and isolated and disempowered people; enabling participants’ ‘in-the-moment’ experience to be heard by others. The charity runs bespoke staff workshops to support their creative expression and embed use of the Living Words books. Living Words has received Arts Council Funding for a group of singers from London Contemporary Voices to be trained in the specialist methodology and turn some of its poems into original choral music under LCV’s Director Anil Sebastian.